TransferPlan will transfer you from and to Sitia airport as quickly, safely and comfortably as possible. Sitia Municipal Airport is located in a distance of 1 km from the town. In 1984 the first aircraft of Olympic Aviation was landing at the small airport of Sitia. After that first aeroplane, many years passed and in 2016 the airport moved to a new terminal building in order to serve the increasing touristic needs. The new building has an area of 7,500 m2 and is a very functional small European airport. 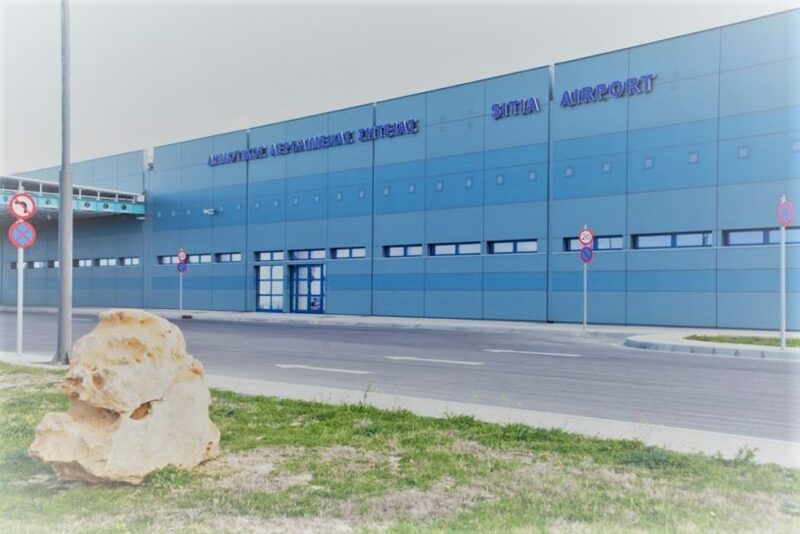 Sitia airport can serve aircraft of small and medium size. Regular flights to and from the airport are made from/to other Greek airports. Also, the airport is able to serve charter flights and private aircraft. During summer time many companies operate at the airport like Aegean, Sky Express, Scandinavian Air and Danish Air. Sitia town which is very close to the airport has a population of 9500 people, is the easternmost city on Crete and perhaps the least developed. Even during the busy summer peak, Sitia retains a certain charm and laid-back style. On the other hand, this means that it is not deserted in the winter, like other tourist resorts of Crete. During the Venetian occupation, the town of Sitia was destroyed three times. In 1508 by a terrible earthquake, in 1538 by the pirate Barbarossa and in 1651 by the Venetians so as not to fall in the hands of the Turks. For two centuries Sitia stopped to exist as a town, until 1869, the present city was built in 1870. Today, its long sandy beach offers the pleasures of sand, sea, swimming and all the windsurfing opportunities in the world. Sitia is very much a living town, which happens to have tourism, rather than the other way around. Sitia has the most cheerful and friendly Cretans you could hope to meet, people who love their town and keep it clean and tidy, not so much to attract tourists but more because they themselves take pleasure in it and are proud of it. Book your airport transfer now. Enjoy a high-quality service at the lowest prices. Best price guaranteed. That’s why we are Crete’s favourite airport transfer company.